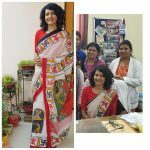 As I approach the last few sarees in the pact, I thought I would annotate them with the life changing events that I associate them with, because really if we think about it, what makes a saree really special are the emotions and memories attached to it. 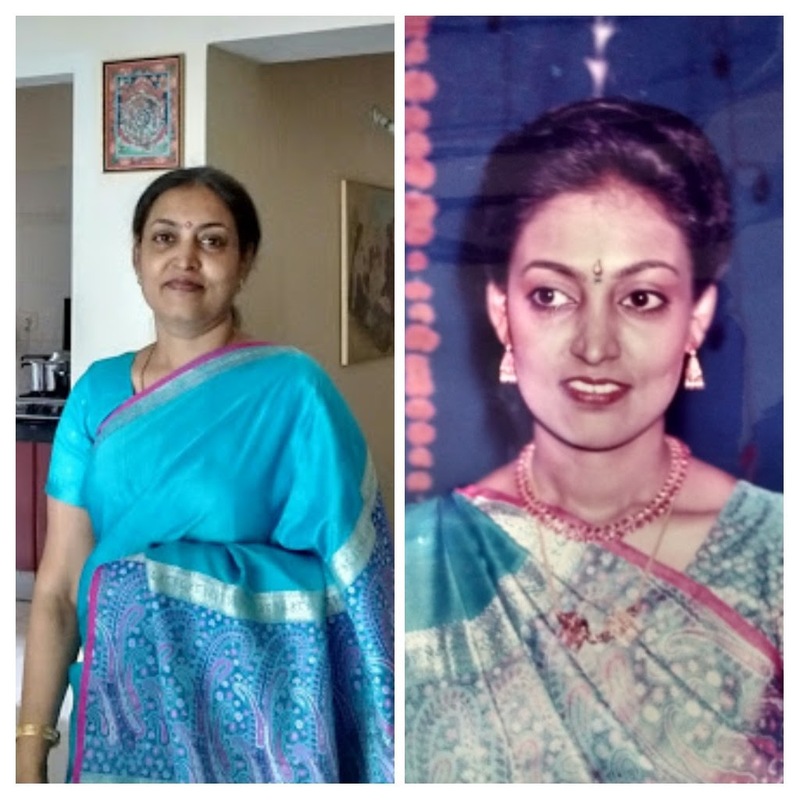 This is the SOTY of my marriage…my reception saree, a turquoise blue with a rich banarasi jamdani pallu…it used to be a very “in” color in those days and I think it is still a very popular colour for wedding sarees and dresses. Lovingly bought by my mother, I treasure this saree for all the lovely moments and sentiments tied to it.